Want to see Pumice-powered Lava soap easily remove paint, tar, adhesives, oil, and other tough grease and grime from hands? Check out our video demonstration for more information on how Lava gets the dirtiest hands clean! To comment or share your own video tips, visit us on YouTube: Lava Brand or WD-40 Company. Lava Soap is a heavy-duty hand cleaner that has cut through the toughest grease, grime and stains for more than 100 years. Use it to remove paint and glue when remodeling, grime when fixing your bike, dirt when gardening, and more! What ever you're into, Lava gets it out. Watch the video and tell us why you love Lava Soap on our Facebook page: Facebook.com/LavaSoap. Whether you're a master mechanic or an auto enthusiast working out of your garage, you need a soap that gets out whatever grime or grease you get into. Lava Soap's heavy-duty, pumice powered hand cleaner cleans deep into the crevices and cracks of your hands to remove grease and oil. Plus, the moisturizing agents ensure Lava is soft on your hands. Watch the video and tell us why you love Lava Soap on our Facebook page: Facebook.com/LavaSoap. DIY blogger, Dinah Wulf, is full of inspiring advice. She loves to craft, decorate, repurpose and create which means getting her hands dirty with countless DIY projects. She uses Lava to get tough glue and paint stains off of her skin. 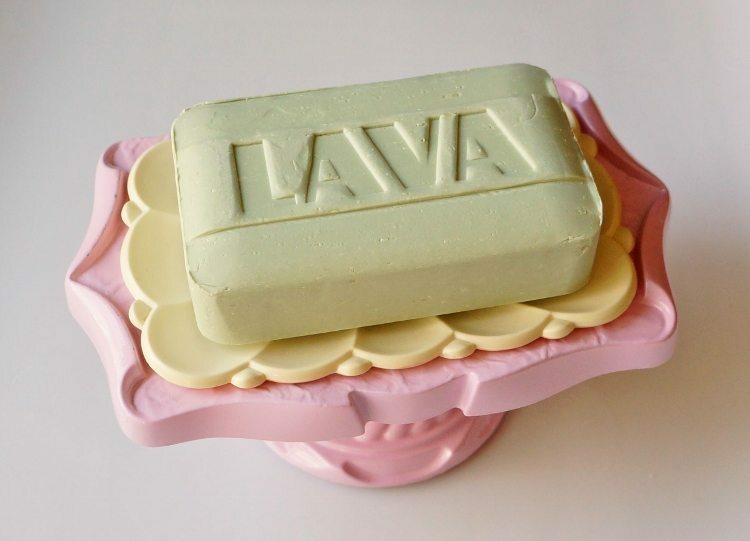 Read her blog post, which includes a video about why she loves Lava, and then share why you use Lava Soap on our Facebook page: Facebook.com/LavaSoap. When WD-40 Company attended the 2014 SEMA Show in Las Vegas, we spoke with attendees about Lava Soap and they loved telling us why they use it. One fan had a particularly creative use - he uses it to clean his tennis shoes! Tell us why you love Lava Soap on our Facebook page: Facebook.com/LavaSoap. The Humble Mechanic - otherwise known as Charles - is (as he puts it) an auto technician, mechanic and grease monkey. We thought he might like to try Lava Soap to get his hands clean after his busy days on the job. So Charles tried Lava Soap and shared this video review with his fans. Check it out and then tell us why you use Lava Soap on our Facebook page: Facebook.com/LavaSoap. The Lava team attended the National Craft Championship in Birmingham, Alabama and spoke with tradespeople who shared why and how they use Lava Soap, one of the best-known heavy-duty hand cleaners in the world, to get their hands clean. Cleans paint, glue and other adhesives so easily - you'll want to scrapbook it!